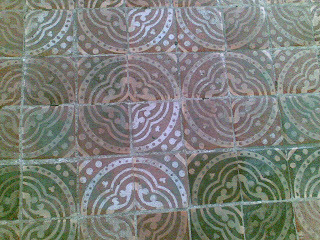 Medieval tiles on the floor of Winchester Cathedral, my alma mater, where I graduated in 1990. They make me think of the beauty of the Universe. Everything feels like this at the moment, that the Celestial Spheres are moving in harmony to change my life, just when I was least expecting it. Big changes are afoot. All I have to do is keep the Oughts and the Shoulds at bay, and stop trying to catch the BUTterflies, of which more later... 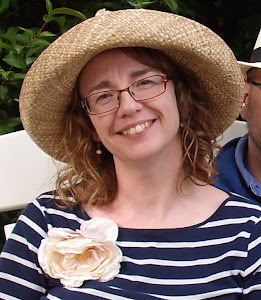 In the meantime, big love to Amy for being willing to venture a punt on me, and Sara who has believed in my art for twenty-four years, twenty-three and a half of which I thought she was completely mad!